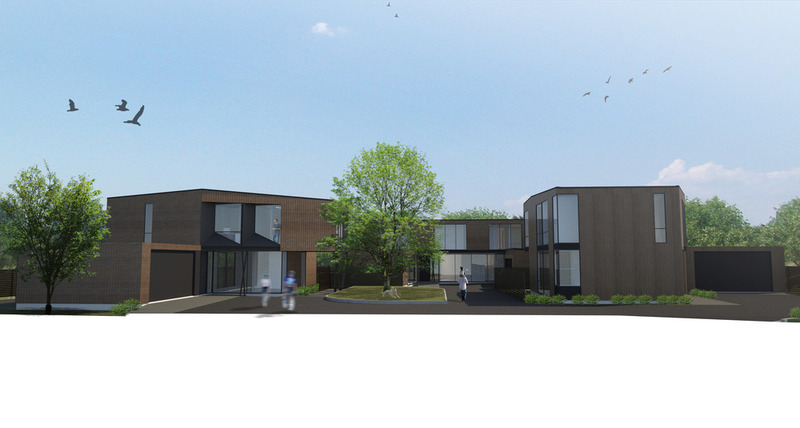 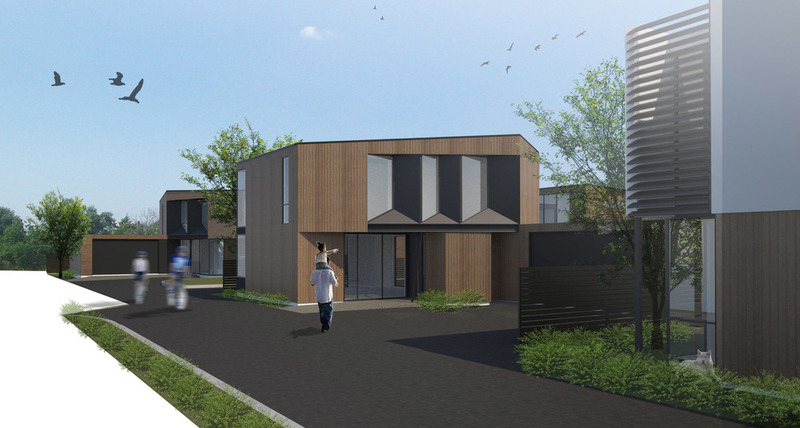 We were asked to design a series of townhouses on a central Christchurch site, maximising the valuable site’s location by increasing density while retaining a high quality of life for each unit. 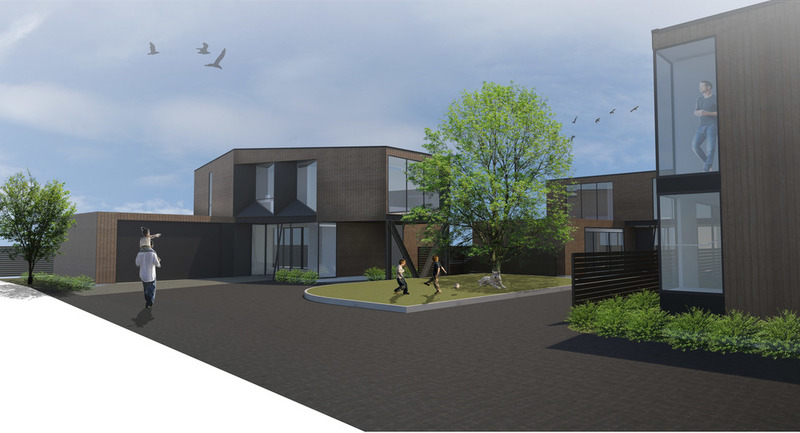 By using a limited material palette and reusing detailing and construction methods we created unique homes and exterior spaces accommodating a variety of lifestyles and occupant configurations. 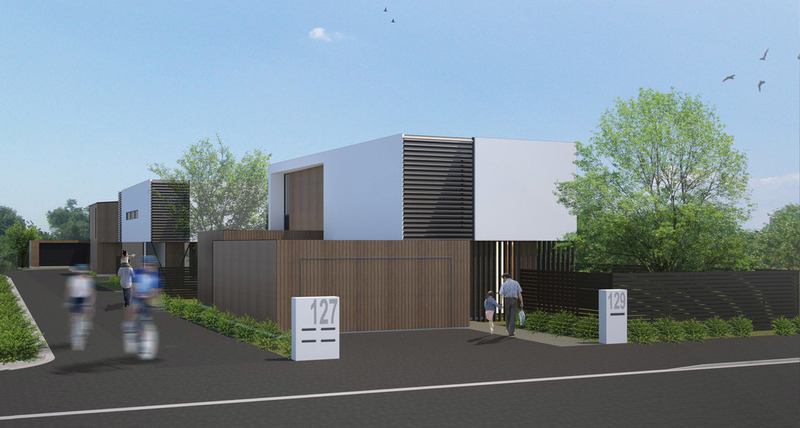 Each home was designed to have a sense of belonging as part of the greater proposal: related to its neighbours, yet unique and contemporary enough to be highly desirable for the real estate market.